Blood Spatter Necklace By Roadkilljill Review | The Arcade Archives! Let me just say that sometimes I’m a total ditz! I wrote this review and never published it!! I’m very sorry Roadkill Jill Creations. I love this necklace! 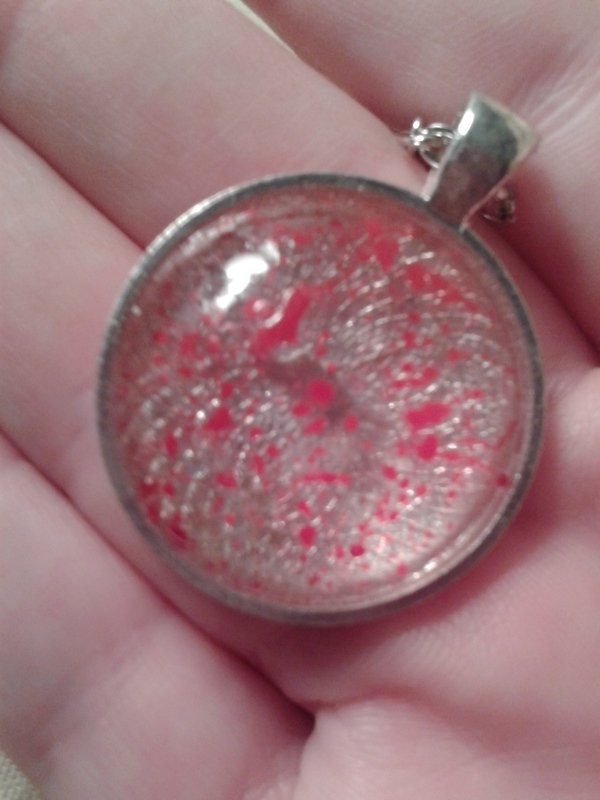 For me personally this necklace isn’t just about horror or gore but it’s also something I can relate to, since I am a crime scene/forensic student. I love the spatter pattern on this. I tried to get a better close up so you can see it better. I am sure that none of these necklaces are the same because unless she does one droplet at a time there is no way to make them identical. So you get your own piece. Its also not a really heavy necklace so you wont be weighed down by it. The chain it comes on is a long chain but I feel like this would work as a choker as well. 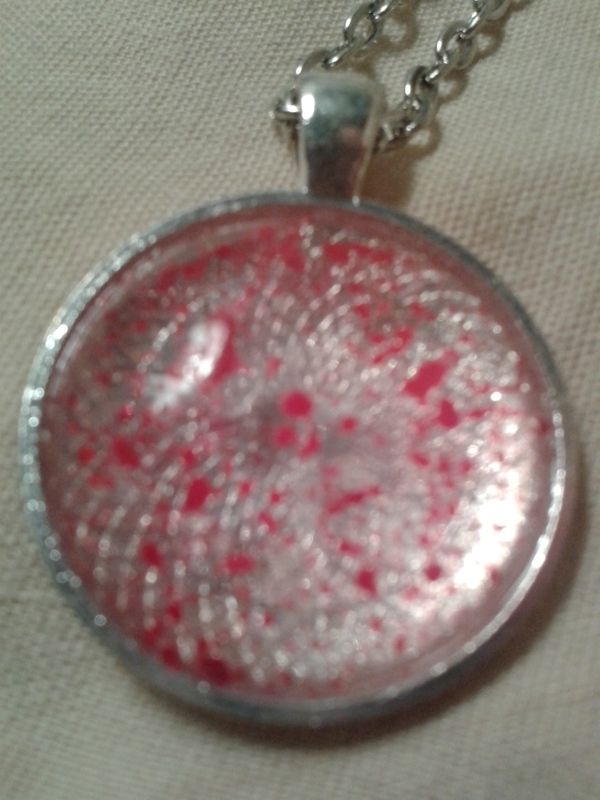 As you can see the locket is about the size of a quarter. 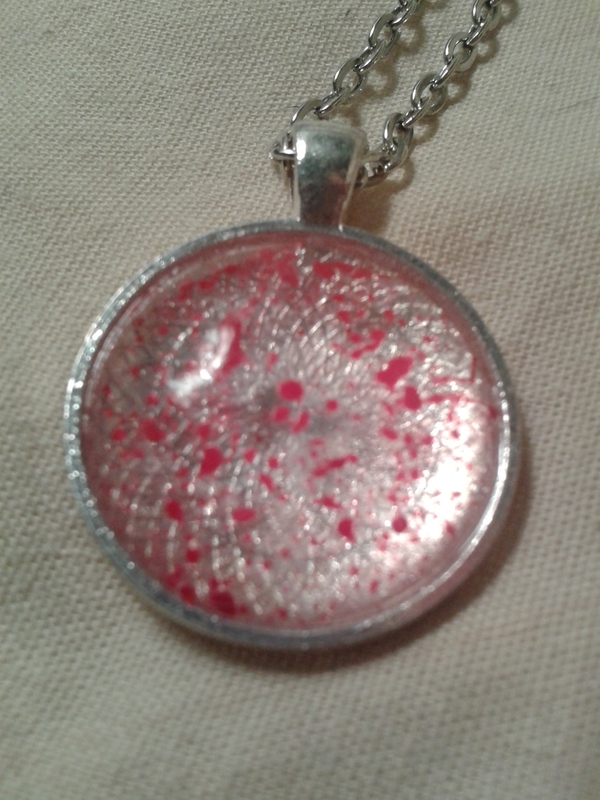 I wore mine and it got banged around a bit but it didn’t damage the locket which I like. I love to wear pieces like this to cons so it’s good to know that it will survive the con without damage. 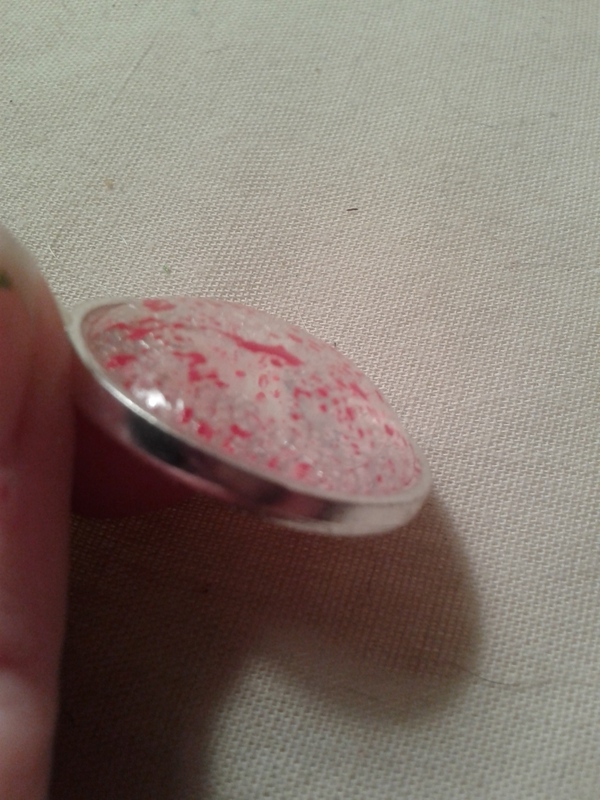 You can see from these photos that it has nice doming which helps your necklace stand out much better then flat necklaces. One thing I should also mention the “blood” is on the outside so it gives the appearance of you wearing it when blood was spraying. Roadkill Jill Creations have these listed at $14.51. Which in my opinion is well worth it. If blood isn’t your thing she also has items made out of bone and other necklaces that are tamer such as day of the dead or Freddy! 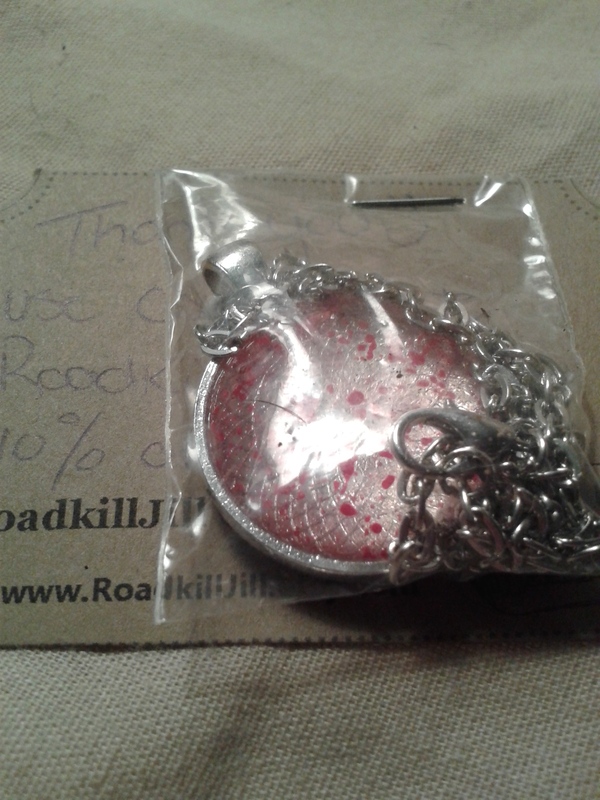 This entry was posted in Reviews and tagged blood spatter, con wear, day of the dead, freddy, jewelry, necklaces, roadkill jill, Roadkill Jill Creations by ravenheather. Bookmark the permalink.